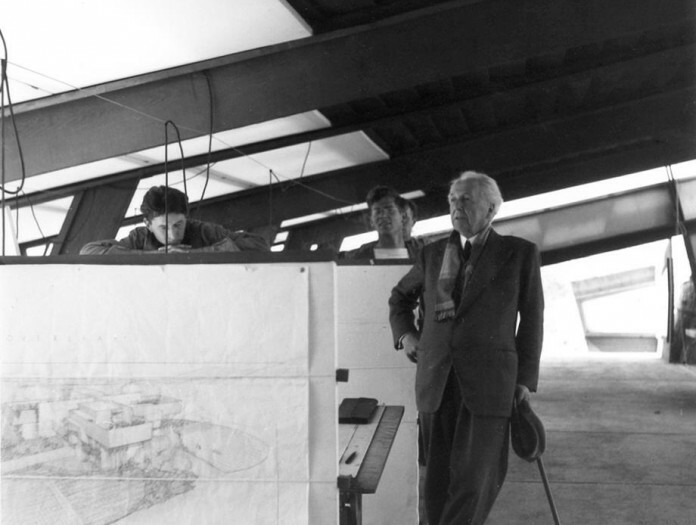 Frank Lloyd Wright with early apprentice, Curtis Besinger (shown far left). Rehearsal hall, by Bessinger and Fritz Benedict, at right. Photo Source: Photo 1967. Denver Public Library. Besinger received his B. Arch degree from the University of Kansas in 1936 and joined the Taliesin Fellowship in the summer of 1939, staying for 16 years, from 1939-1955. A conscientious objector, he took a break from 1943-1946 to undertake “work of national importance under civilian direction.” After leaving Taliesin, with some angst and misgivings, he taught architecture at KU for 29 years, served as dean, and retired in 1984. From 1956 on, Besinger spent his summer teaching breaks in Aspen with Fabi and Fritz Benedict, working with Fritz’s architectural practice. 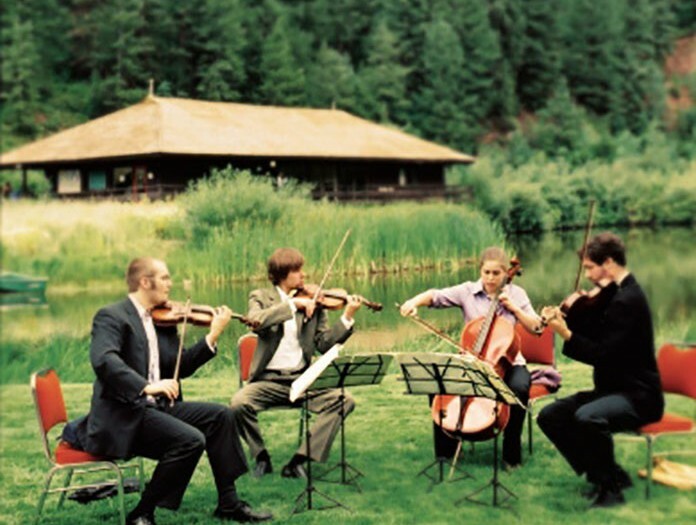 Although he undoubtedly worked on many projects, he is specifically associated with the design of the Aspen Music School and Cooper-Hyman pedestrian mall. He was also connected to House Beautiful magazine, which was strongly pro-Wright. 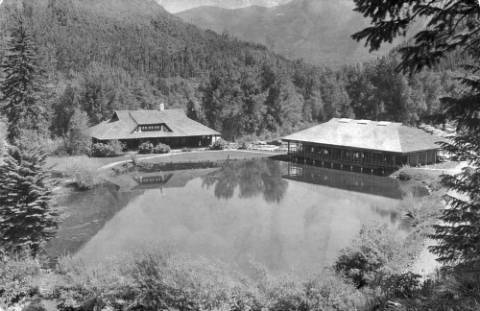 In his account of his years at Taliesin, Working with Mr. Wright (1995), he mentions architects associated with Aspen—Charles Gordon Lee, Gordon Chadwick, Benedict, and Molny. He notes that Benedict organized ski trips for the Taliesin fellows when they were in Arizona in the winter of 1941-1942.